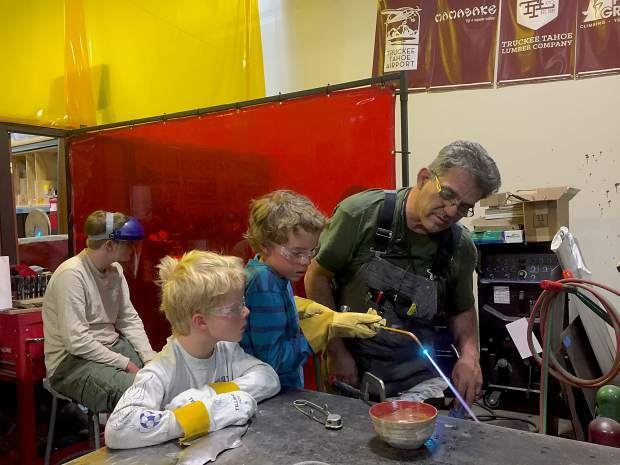 Jerry Taylor, a welding instructor at the Truckee Roundhouse, aids North Tahoe students Aiden Smith, Dane Gaffney and Sage Gaffney in building a sculpture that was unveiled at Truckee High School. 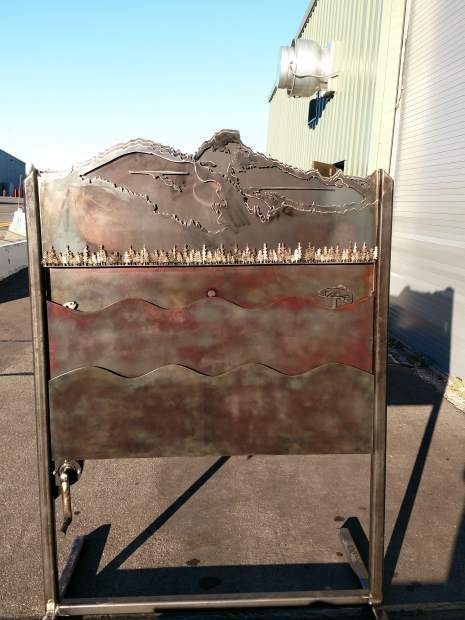 Truckee High unveiled a new metal sculpture designed and created by seven Tahoe Truckee Unified School District students from around the district. Through a partnership with Sierra Watershed Educational Partnerships and the help of instructors at the Truckee Roundhouse, students created a metal scupture modeled after the mountain range watershed in the backdrop of Truckee High. The event kicked off with an unveiling of a new metal sculpture designed and created by seven students from around the district. 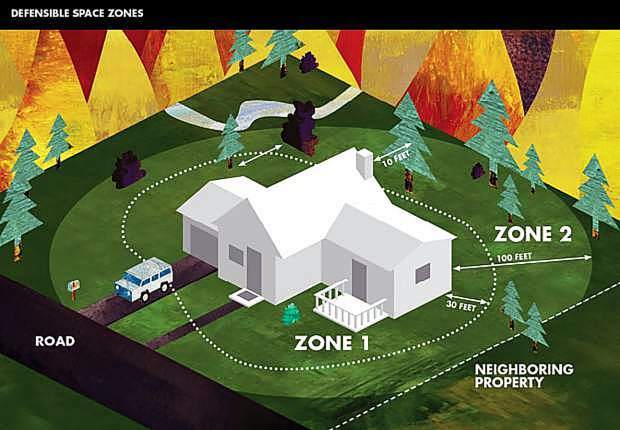 This work is part of the innovative environmental education that takes place throughout the district due to its collaboration with Sierra Watershed Educational Partnerships, officials said. Missy Mohler, SWEP’s executive director and district alumnus, led the collaborative project. Truckee High alumni and parent Matt Parkhurst was instrumental in designing the overall sculpture for this project. The sculpture design includes the mountain range watershed that is the backdrop of Truckee High. Students designed and created the intricate “fish” and “trees” in the sculpture and welded them at the Truckee Roundhouse. This project was funded from Drought Response Outreach Projects for Schools. Noelle Seppi, a Truckee High School senior, shared her experience in creating the sculpture now on display. 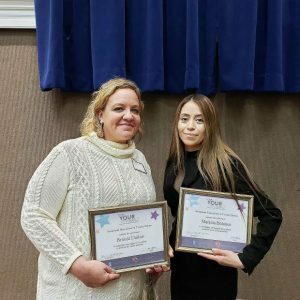 “My first time welding was a rollercoaster of emotions: excitement, fear, and everything in between,” Seppi wrote in an essay. 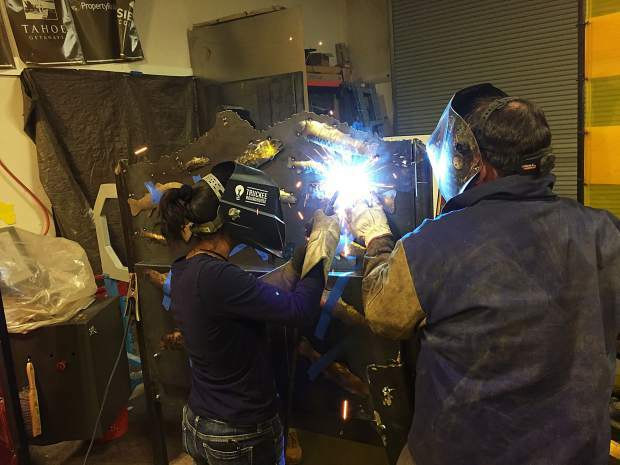 “The sole reason for this welding program, I thought, was to make a sculpture that the students and staff of Truckee High School could enjoy for years to come. “Little did I know that there was so much more depth to this project. 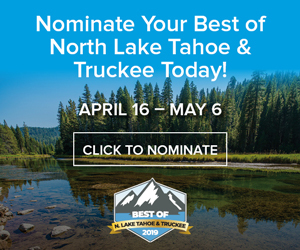 “Our project team was at the Truckee Roundhouse and our instructors directed us to retrieve our safety goggles, welding helmets, and gloves for proper protection. We started the session with welding across a scrap piece of metal so we could get used to the motion and the feel of the welding tool. I watched others begin, trying to get used to the constant sparks flying towards my face. I sat in silence and the longer I watched from a distance, the more my fear grew. “Eventually, our instructor looked at me and said, ‘You’re up!’ He handed me a tool, explained to me what I was supposed to do, and stepped back to watch. I took a deep breath, put my helmet down, and started. After the welding gun reached the other side of the small metal scrap, I set down the tool and lifted my helmet to see the result. “‘Not bad,’ said our instructor. I looked up and smiled at everyone, and from that moment I was hooked. “As the session came to a close, we put away our equipment, said our goodbyes, and walked out of the Truckee Roundhouse. While driving home, I realized that this project is much more than making a new high school look better; this project is making a positive impact on our community and our environment.